Hillsboro Community Hospital is fighting off an attempt to move its bankruptcy case to North Carolina. 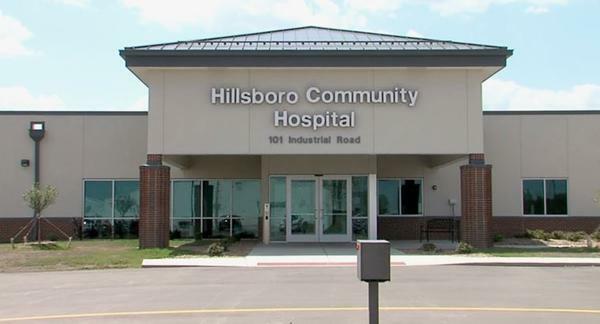 Allegations of financial fraud and stolen hospital records have surfaced in an increasingly nasty legal battle over the fate of Hillsboro Community Hospital in Hillsboro, Kansas. The critical access hospital, which is partly owned by a company controlled by Florida resident Jorge Perez, is resisting efforts by Perez to move its Chapter 11 bankruptcy case to North Carolina. That’s where a bankruptcy judge recently consolidated the bankruptcy filings of seven other rural hospitals controlled by Perez and Perez-affiliated groups. The hospitals include the now-closed Oswego Community Hospital in Oswego, Kansas; Horton Community Hospital in Horton, Kansas; and I-70 Community Hospital in Sweet Springs, Missouri. Four other hospitals in Oklahoma and Arkansas controlled by Perez-affiliated groups likewise have sought Chapter 11 protection in North Carolina. It’s not clear why the cases were filed or consolidated in North Carolina, which has no obvious connection to any except one of the hospitals. But in a bankruptcy court filing, Hillsboro Community Hospital says the attempt to move its case there is an unlawful attempt to circumvent court orders in Kansas. In January, Bank of Hays foreclosed on the hospital after it defaulted on a nearly $10 million loan. At the bank’s request, the court appointed Cohesive Healthcare Management + Consulting, LLC of Shawnee, Oklahoma, as a receiver to run the hospital. Cohesive, in turn, placed the hospital, which remains open, in voluntary bankruptcy on March 13. Brent King, a lawyer who was appointed as the Chapter 11 trustee, told KCUR two weeks ago that he was unable to provide more details about the federal investigation other than that it likely concerns billing irregularities. He said his law firm, which is conducting a forensic investigation of a hospital in Graceville, Florida, once controlled by Perez, had uncovered “massive” billing irregularities there. The Kansas attorney general’s office says it’s also investigating at least one of Perez’s Kansas hospitals, Horton Community Hospital, although it has declined to specify the nature of its probe. Perez could not be reached for comment. Mike Murtha, president of the National Alliance of Rural Hospitals, a group once associated with Perez, said Perez's hospitals had effectively ceased being members of the alliance. "I don't make decisions for him. I'm an advocate for the perpetuity of rural hospitals," Murtha said. In pushing back against Perez’s attempt to move Hillsboro’s bankruptcy case to North Carolina, King states in a recent court filing that Perez and his affiliated companies used Hillsboro and other hospitals they controlled to carry out an illegal billing scheme. The filing cites allegations in a lawsuit filed by a Mission Hills, Kansas, couple who invested in the hospitals and claim Perez tried to cut them out of their rightful ownership share. Perez and others, King says in the filing, “orchestrated and controlled the laboratory information system … of the Hillsboro Hospital to perpetrate a fraudulent scheme related to Medicare and Medicaid billing.” King also alleges that one or more members of the Perez Ownership group had stolen records from Hillsboro Hospital. King could not immediately be reached for comment. In the filing, King says he believes iHealthcare Inc., a Miami-based company associated with Perez, possesses “essential billing, patient and employee records which are property” of the hospital. In January, iHealthcare entered into agreements with Perez to provide hospital management services to his hospitals. In exchange, Perez was eligible for about $2.5 million in “success fees” if certain conditions were met. Noel Mijares, the president and CEO of iHealthcare, did not immediately return a call seeking comment. Despite the alleged theft of the hospital’s records, King says that Cohesive, with the cooperation of the Bank of Hays and the city of Hillsboro, “has made great strides” in stabilizing the hospital’s operations. Cohesive aims to take steps “to ensure quality patient care with the aim to sell Hillsboro Hospital as an operating critical access hospital in order to maximize its value both financially to its creditors and the needs of its patients and community it serves,” King states. Although the hospital is licensed for 15 beds, the document filed by King says it has eight licensed hospital beds and generates estimated annual revenue of $8.8 million. The hospital has about 40 fulltime employees and about 30 part-time employees, including two doctors, two physician assistants and two nurse practitioners, according to King. Hillsboro, with a population of about 3,000, is about 165 miles southwest of Kansas City. As a critical access hospital, Hillsboro Community Hospital is eligible for cost-based reimbursement from Medicare. Even so, the hospital lost $1.25 million in the fiscal year that ended in September 2017, according to American Hospital Directory records. This story was updated to include comments from Mike Murtha, president of the National Alliance of rural hospitals.